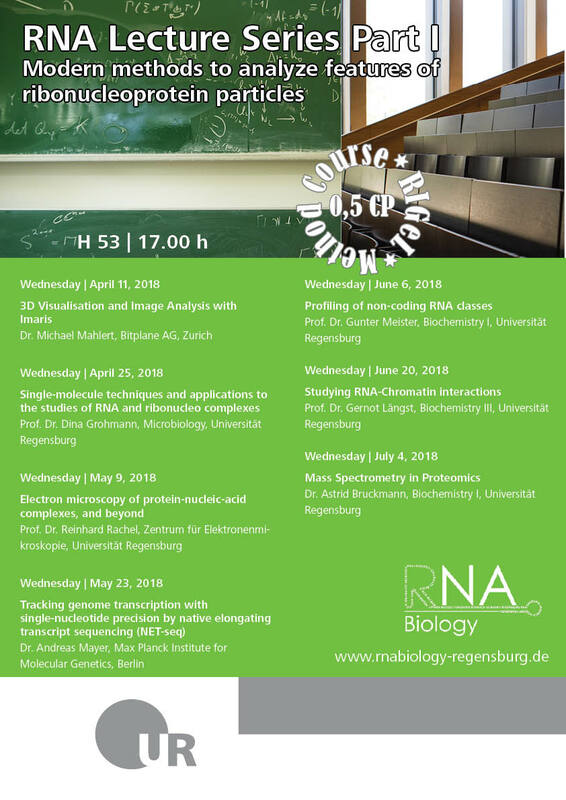 The RNA Lecture Series Part I starts again on April 11, 2018. Dr. Michael Mahlert (Bitplane AG, Zurich) will give the first lecture on 3D Visualisation and Image Analysis with Imaris. There will be seven different talks during the semester including internal and external speakers. The participation in all lectures of part I can be counted as Method Course with 0.5 CP.